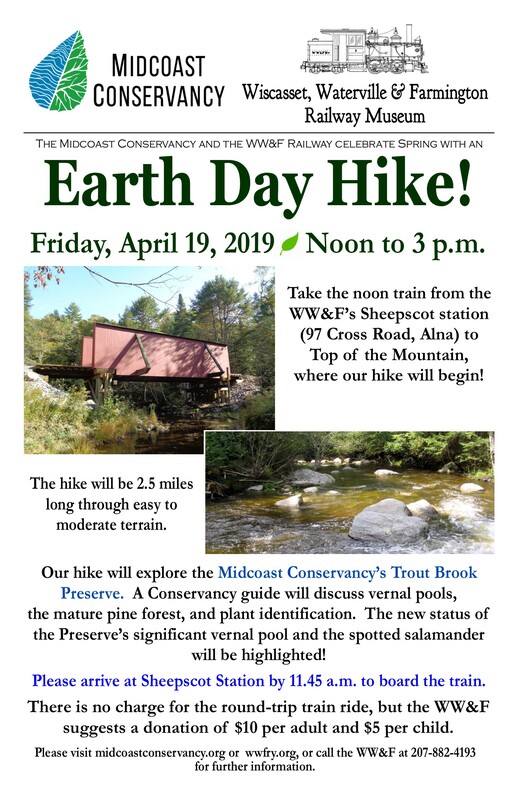 Midcoast Conservancy's Earth Day Trail Work, Train Ride and Hike at Trout Brook April 19th! Previous PostSpring is Here! Our April Activities!Next PostLast Call for the Easter Eggspress April 20th!